So, anyone who knows me, knows i’m pretty obsessed with always having two things in my house, no matter the time of year. My house is rarely complete without a copious amount of candles and fresh-cut flowers. It’s so simple to add these things into your house and you don’t need to have large amounts to get a big impact. So, let’s start with flowers. I don’t live in a big house and it is quite a hodgepodge of kijiji bargains and Target patterns. I find flowers add a touch of elegance, freshness and life to my miss mash decor. Generally, I will buy two to three varieties at the weekly grocery store trip. I find Safeway generally has the best selection and can be pretty reasonable, as far as flowers are concerned. Don’t get me wrong, you can spend an insane amount on flowers, even at Safeway, but even the littlest arrangement can add a special touch to any space. There have even been studies done that show how flowers in your home can improve your wellbeing: The Mental Health Benefits Of Flowers. 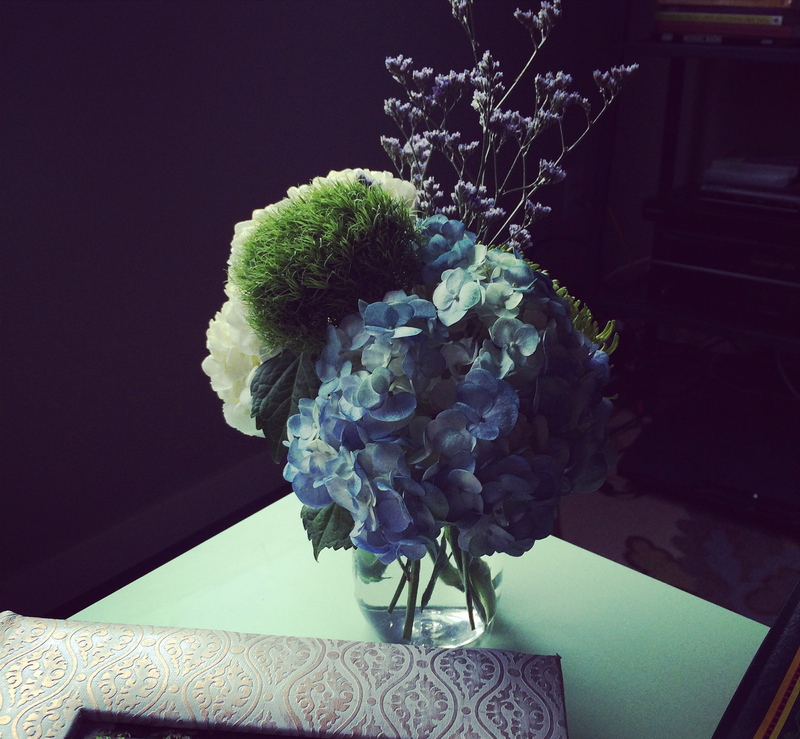 This whimsical arrangement consists of blue and white hydrangeas, some fuzzy greenery (not sure of the name, but they’re fun!) and some other purple stick flowers to add some height to the arrangement. All cut short for the mason jar. In total, I was able to make three of these from the flowers I bought at Safeway. The total cost was $30.00. If you just wanted to make one arrangement it would be a lot less. Changing the water every day allowed these babies to last about two weeks. Flowers aren’t just for the summertime either. It’s great to include seasonal flowers all year round. Ok, next up… candles…my other obsession! I usually buy candles at Target or Winners. Generally spending between $5-$12 per candle. I always have them lit. For me, it’s a great way to relieve anxiety at the end of a stressful day and to add a calming light and ambiance to my home. I like lighting my candles in groups of two or three as I find it has more of an impact. While candles are great, it’s really important to buy candles that are safe to burn and won’t give too much pollution to the air quality in your home. Soy or beeswax candles are the best. 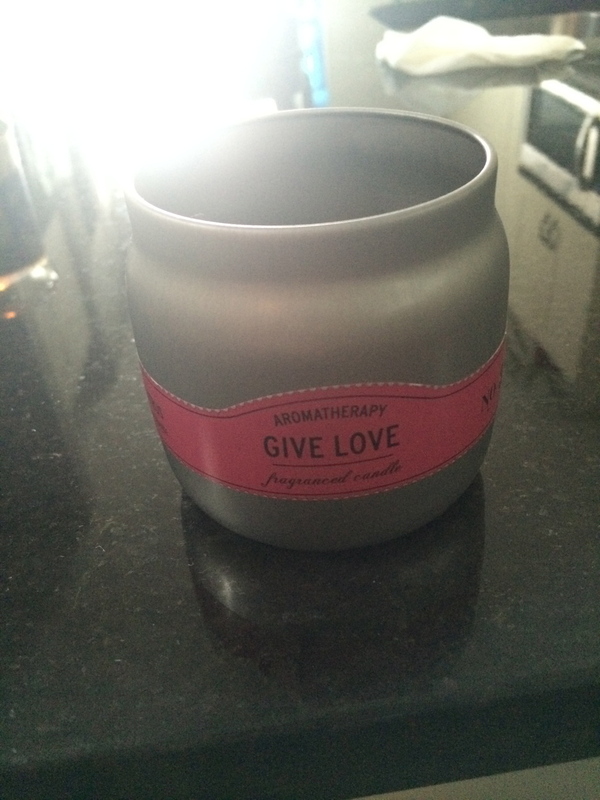 I don’t really have any scent preference but I just love the lily and citrus scent of the Give Love aromatherapy scent from Target.